Durable and attractive when operated as a contamination-free enterprise, powder coating workshops don't fare well when those measures fall through. Of course, craters in powder coated finishes look ugly. The pockmarked surface undermines that aesthetically created skin, plus it destroys what should be an impervious membrane. When someone talks about the heat, all eyes flick towards the curing oven. Ultimately, that's where the powder fluidizes and hardens, so this kind of reaction is natural enough. 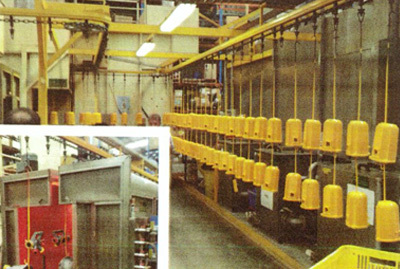 Phosphate pre-treatments take place within separate prep rooms, not among the powder coating equipment. The cleaning and scrubbing work removes oily deposits and built-up grime in here, then the parts priming work is implemented. Each of the particles floating in a dry powder coating cloud contains an exotic mix of chemical reagents. Cemented to a binding agent, there's a heat-amenable plastic. Metallic powder coating techniques add a polished glossy shine to workpiece surfaces. A dulled motorcycle exhaust looks factory fresh when it's coated in a chrome-like finish. 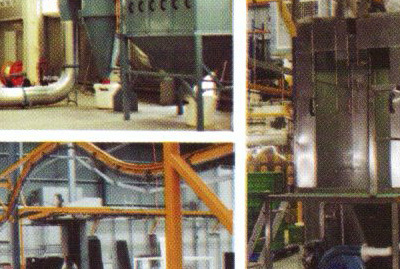 Where's the fingertip controlled leading edge of a powder coating operation located? Does it take place at the oven, where the adhering powder melts? No, although the temperature controlled oven does contribute heavily as a coating quality conferrer, it doesn't actually apply the powder coating. 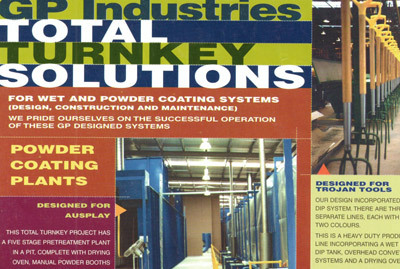 As a review, turnkey powder coating systems earn that title by including every process-completing piece of machinery. From the powder coating booths and electrostatic power sources to the fluidizing and curing ovens, a full-solution package must include those key application and finishing nodes.